1. 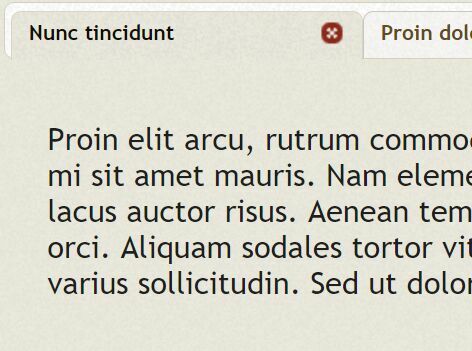 Load the jQuery myTour plugin's stylesheet into the head section. 2. Place the necessary jQuery library and the jQuery myTour plugin's script anywhere on your web page. 3. Create steps for your website tour. Use the data-id attribute to specify the target element and the data-position to specify the position for each step. 5. Optionally, you can create a link to trigger the visual tour. 6. Initialize the visual tour plugin. // backward to the first set step. // which objects will contain the steps that will be displayed for the user. 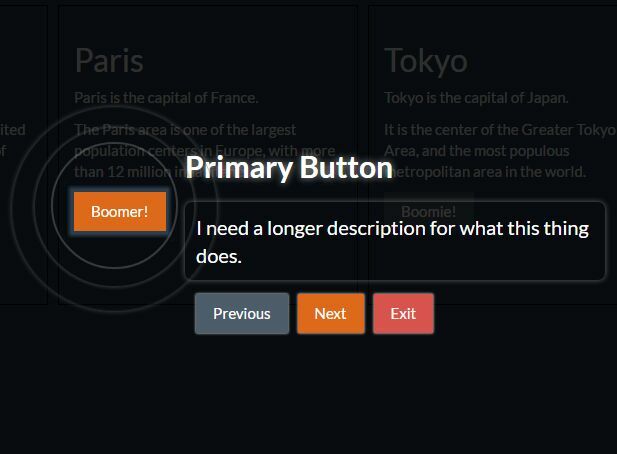 This awesome jQuery plugin is developed by rogeriotaques. For more Advanced Usages, please check the demo page or visit the official website.